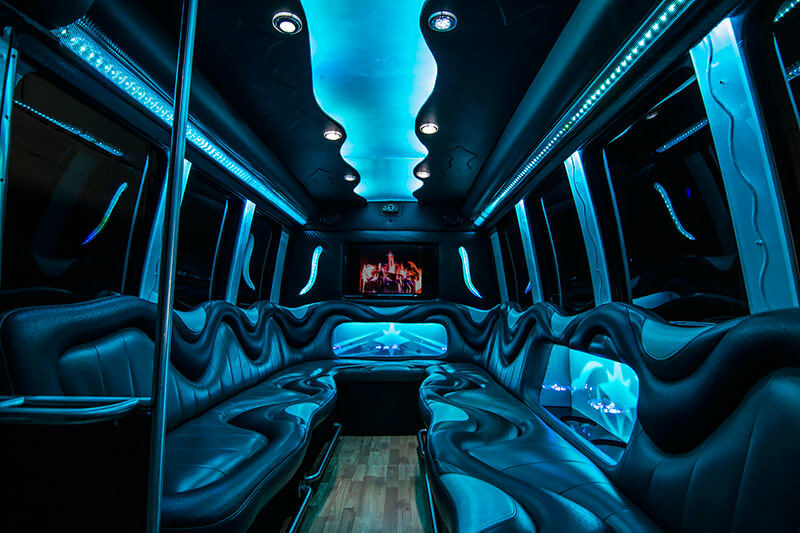 Our 14-Passenger Party Bus is something different, versatile and very up-to-date. If you are planning a bit of a longer trip, there is a luggage compartment and the ride is very smooth. The sound system features two 12" subwoofers and a CD/DVD/iPod adapter. 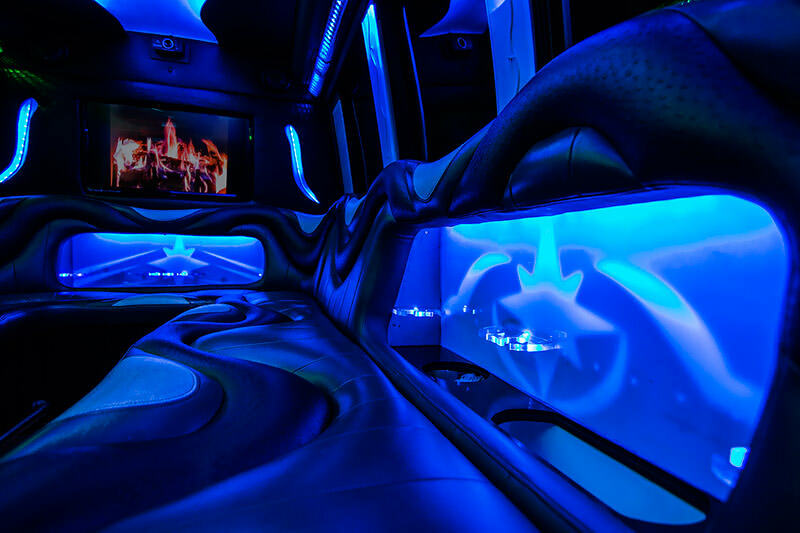 Additionally, there is dark limo-tinted windows for privacy, two built in bars with built-in coolers, a flat-screen HDTV, a hardwood floor and LED backlit ceiling to go along with the most comfortable leather seating. 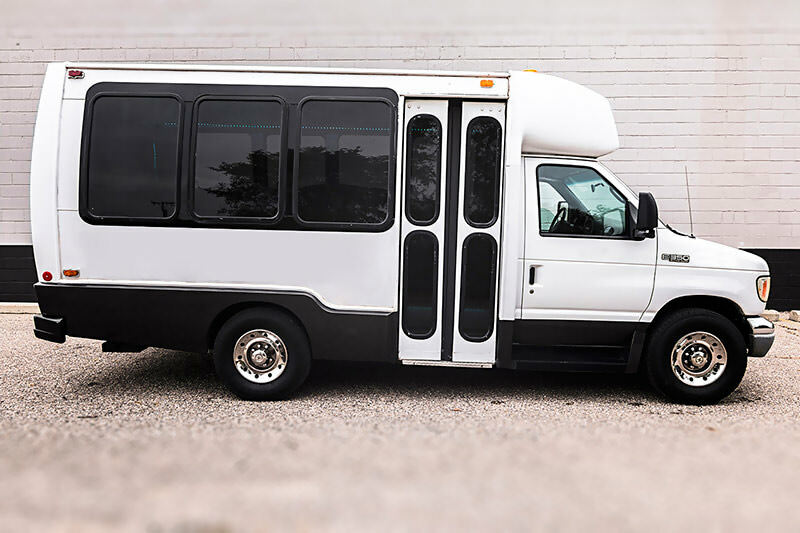 For your parties that require travelling in spacious comfort, this is definitely the perfect choice!